I'm wrapping up the Why I Do What I Do series today. This post is a repeat from last year, but it's one that I think bears repeating. 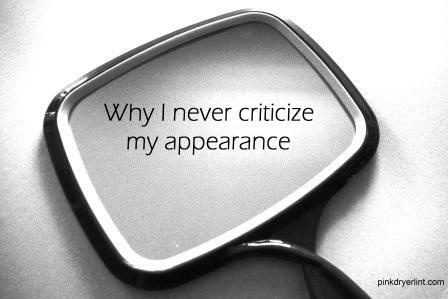 Several years ago I made a commitment that I would never criticize my appearance in front of my daughters. My father-in-law talks about being heavy and losing weight in front of Dudette all the time and we are constantly doing damage control as a result. Good for you! Loved it then and still love it now! Self-image is an insecurity I struggle with daily and I try VERY hard not to project that onto my daughters. In the past year, both of my oldest have made comments about wanting to be skinny - they are 9 & 7 and neither is at all overweight. I know that I have to be a very strong, positive example for them when it comes to self-image in order to help them overcome the "societal" image of beauty. Yes, Lisa, fight the good fight, you beautiful woman!